New Teleradiology Implementation with ECIRA - ONRAD, Inc.
Riverside, CA (MarketWire) February 14, 2012 – ONRAD is pleased to announce a successful implementation of teleradiology services at Provena Covenant Hospital in Champaign, Illinois and Provena United Samaritan Hospital in Danville, Illinois through its services agreement with East Central Illinois Radiology Associates (ECIRA). ONRAD currently provides afterhours and subspecialty support to ECIRA. “We have been extremely pleased with the level of quality and service provided to us by ONRAD. The quality of physicians supporting our practice as well as their turn around times of reports has been excellent,” said Ramaprasad Chilakapati, MD, radiologist at ECIRA. ECIRA needed to secure after-hours and weekend teleradiology coverage quickly to coincide with their own contractual start date. ONRAD’s services were considered a great fit because the solutions could be easily customized. The ONRAD team worked closely with the customer to put a solution in place – from contract negotiation to operational implementation – in only 6 weeks. Dr. Chilakapati said “The support from ONRAD’s operations and management team is superb. Given the short time frame associated with our implementation, we were able to meet our contractual service levels with the Hospitals, and the medical staff is quite happy with the level of services provided.” This continued flexibility is what allows ONRAD to meet the unique needs of many different customers.  ONRAD is a full service radiology provider offering customized radiology services including teleradiology services and solutions, on-site radiology, subspecialty teleradiology interpretations, and radiology quality assurance programs. East Central Illinois Radiology Associates is private radiology practice providing comprehensive professional radiology services to the Champaign and Danville, Illinois communities. The group has long standing ties to both communities, and is well respected by the physicians within the region.